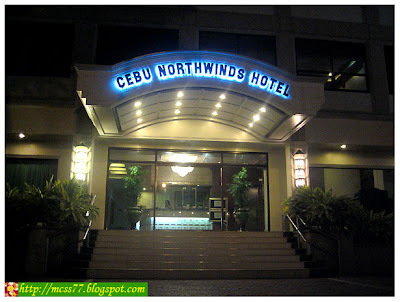 We stayed at Cebu Northwinds Hotel, a good budget hotel in a good location, very safe and convenient. 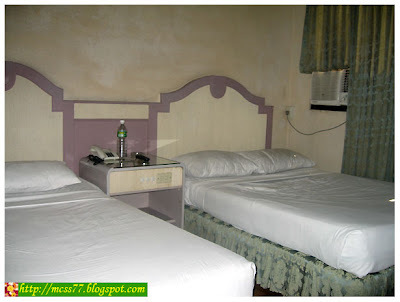 The hotel is suitable for budget conscious travelers. 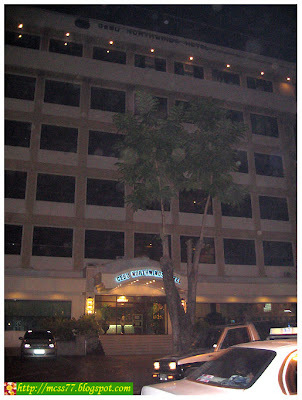 It is ideally located just a stone's throw away from the great restaurants namely Golden Cowrie and Chika-an sa Cebu. We stayed at the De Luxe Room, which was a little bit small but large enough to fit a double bed and a single bed and its facilities. 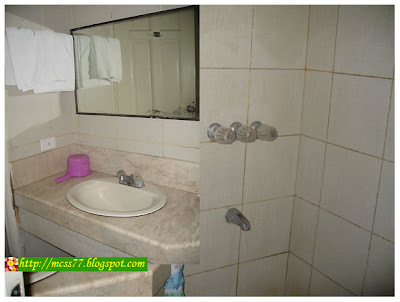 It had adequate air-conditioning; the cable TV remains uninterrupted and it had a decent hot and cold shower. It was pretty clean and tidy, but our view from the hotel window was disappointing since it was practically blocked by a school building (you can virtually see what's happening inside the classrooms). 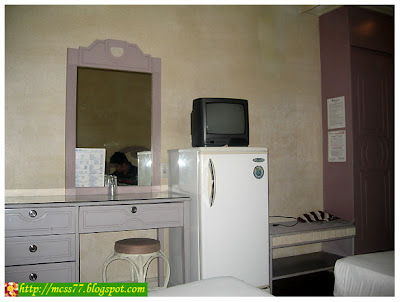 The room needs to be refurnished, as our beds had a semi-sagging mattresses and the bathroom was already outdated. Not really 100% soundproofed, sometimes you'll hear passerby talking outside the room, but for a price of Php 1,400.00 a night, what can you ask for. 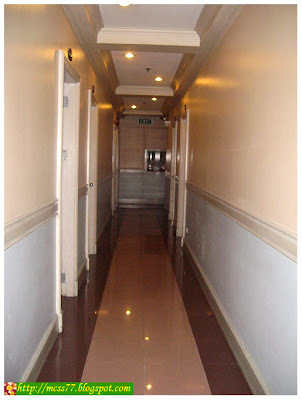 There are few frills here, no breakfast meal is included (but they do have meal services, either you do order room service or you may just visit Diezza Coffee Shop and Restaurant located at the ground floor of the hotel), no swimming pool, no lobby bar and no foyer for guests. I recommend that you either arrive here on time or come a little late. 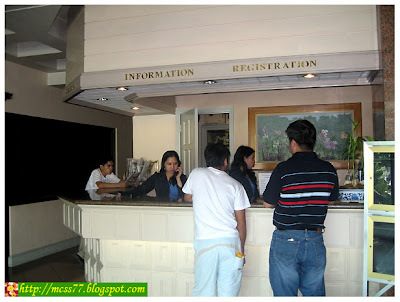 But if you get here early, you can easily leave your personal belongings at the front desk. 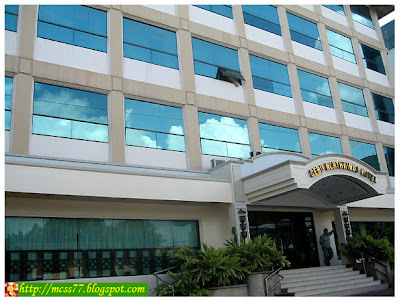 The Cebu Northwinds Hotel is located along the road. 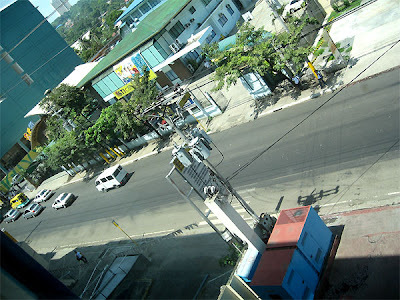 Transportation is a breeze as taxis are most of the time readily available at the hotel, while lots of public utility jeepneys passes by and ply the routes from almost every area. 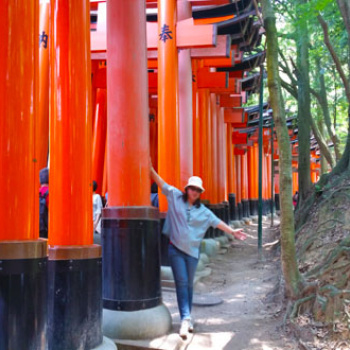 Overall, it was a decent value for money and we would definitely consider going back, and eat out at the nearby restaurants. One piece of advice though... please book early as these rooms sell out quickly.